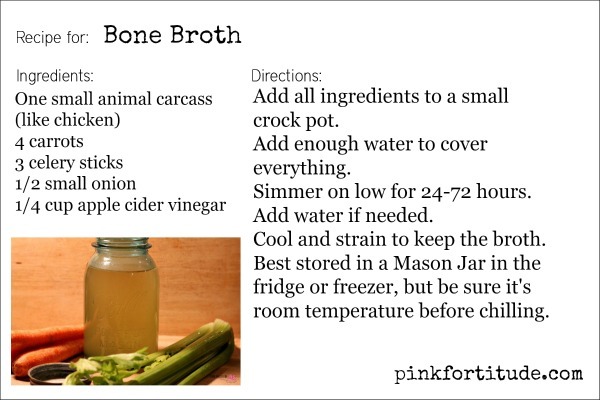 If you have an autoimmune disease, are following a Paleo lifestyle, or want to heal your gut, bone broth is one of the staples of your diet. 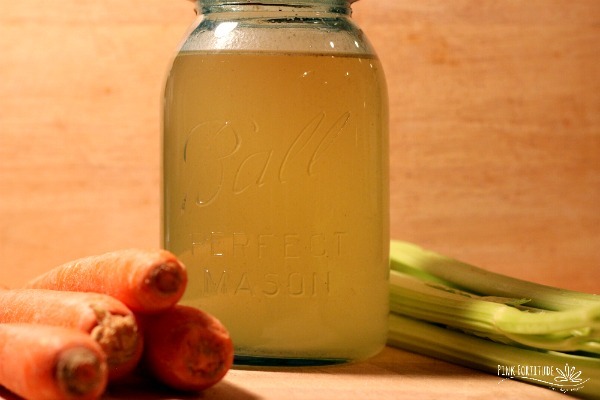 The healing powers of bone broth are powerful and numerous. PS – it’s also Keto and Whole30 compliant. Here are some of the benefits, along with directions to make your own! and may even reduce cellulite! 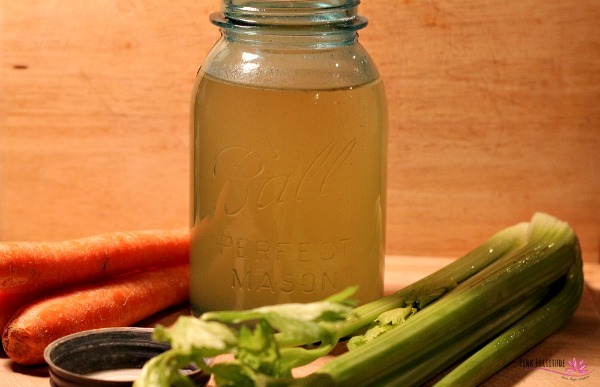 The secret to bone broth’s magic healing is the simmering for long hours. The simmering (24-72 hours) causes the bones and ligaments to release collagen, glycine, and glutamine. The minerals in bone broth are easy for your body to absorb and contain chondroitin sulfate and glucosamine which help to reduce inflammation, arthritis, and joint pain. 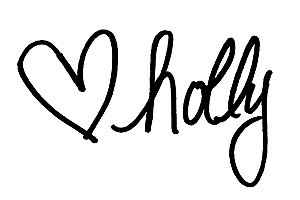 If you have an autoimmune condition (I have Hashimoto’s) and/or are on the AIP (autoimmune protocol) diet, bone broth is typically one of the first foods that doctors will recommend to help heal your body. This recipe includes ACV, which isn’t technically Paleo since it wasn’t around in Paleolithic times. However, it is a gray area in the Paleo community since it follows the spirit of approved foods. A while back, I went vegan(ish) for health reasons. I don’t like how I feel after consuming meat products or by-products, and it’s extremely difficult to find reasonably priced meat which is organic and non-GMO and free range and etc etc. But the health benefits of bone broth far outweigh any of those reasons. 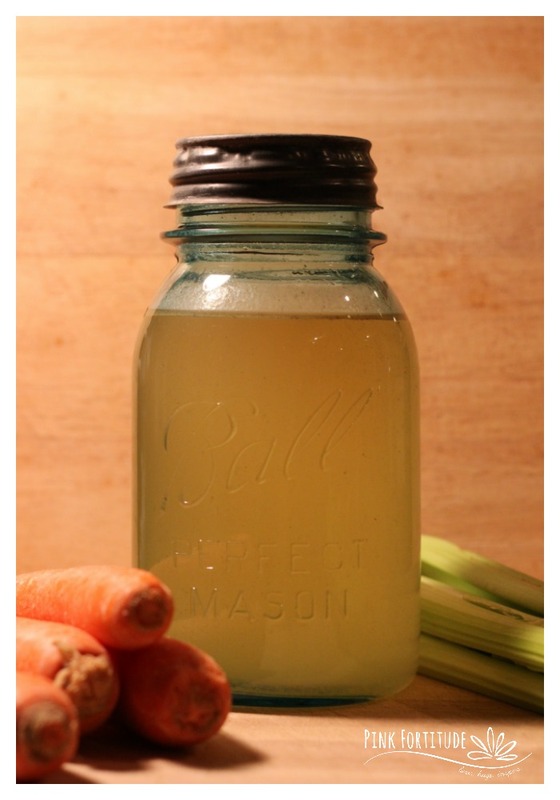 So despite being 95% vegan, bone broth is a part of my healthy living protocol. The only catch… I’m just not a fan of the taste. You can enjoy bone broth in it’s pure and natural state and many doctors recommend those with autoimmune to consume a cup of bone broth every morning. To obtain the health benefits without drinking it straight, I add it to as many foods as I can, whether it’s soup, rice, sauces, smoothies or other. Pretty much any organic meat carcass will do. We used a game hen for this blog post, but you can use chicken, beef, lamb, or any other animal with bones. The next time you are cooking a meat dinner for your family, dump everything in the crockpot to make this. Or if you want the benefits of bone broth without having to cook it, it’s easy to purchase online. This recipe is for a small carcass in a small crockpot. Feel free to double or adjust your ingredients for a larger carcass and larger crock pot. So what do you do with this once you have made it, do you drink it directly , add more water or what..